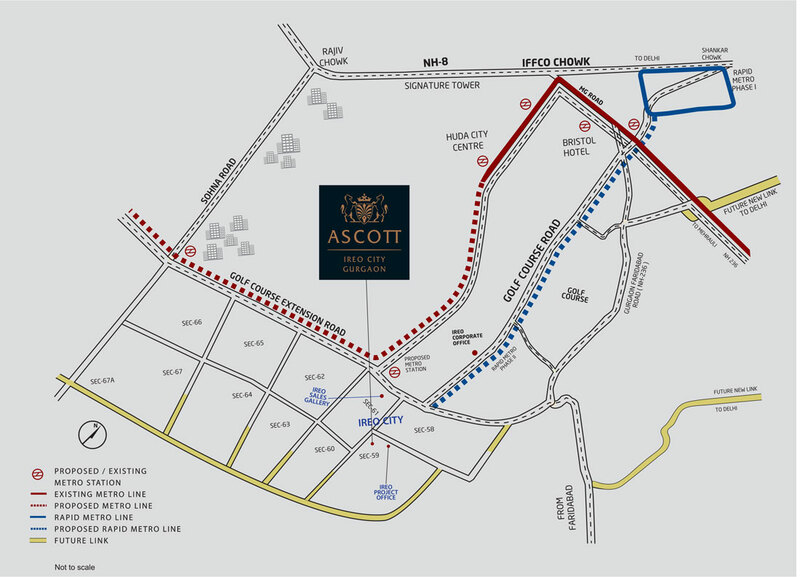 Located in the prime Sector 60 of Gurgaon, the complex is in proximity to the Southern Periphery Road and sits comfortably in a great location. Apart from easy access to NH8, residents will also benefit from two new fast exit roads to Delhi, via Faridabad Road and via M G Road. What's more, Ireo Skyon is approximately 2 kms away from the proposed Metro Station which will further add to travelling convenience. Furthermore, Ireo Skyon is located within the upcoming 600 acre Ireo City master-planned development, which means it will be in close proximity to Ireo City's premium recreational district with hi-end retail, recreational clubs, 5-star hotel and much more.